There is no substitute for great-looking content. Whether we’re comparing rich and colorful NFL Sunday night games in 1080p HD, the new Blade Runner 2049, a cinematic tour de force, or the binge-worthy Stranger Things 2 on Netflix, as viewers, we always appreciate and often expect the most compelling set of pixels we can get on the screens we watch our content on. Making that visual magic is no small feat. There is a complex art and skill required to process content pixel by pixel. If I appear to have some well-formed opinions on said pixels, admittedly I do. I’m not only a veteran of this process, but also a student of the science and fascinated at the process and the advances that seem to emerge every so often. The same goes for machine learning and video preparation, but that’s a discussion for another thread and time. Now though, I want to focus on 4K, specifically what we as viewers consume or cannot consume, the visual quality, and what lies ahead. You know that person,the first guest through the door. Sometimes with a dish or a bag of chips, but nonetheless a bit early and inconvenient. You do your best to make them feel comfortable and welcome, but you’re inevitably still scrambling to put everything together to make your party pop. You’ve no doubt figured out my analogy by now. We’ve been here before, after all. Anyone remember 3D TV? Relief will come. Adoption and availability take time. As we saw with HD content before it, content will eventually trickle into the UHD universe and be more readily available on the screen of our choice. Spoiler alert: 4K got to the party WAY too early. Let me be clear, I love 4K content and how rich and immersive it is by nature. I own a couple of 4K UHD (ultra HD, as it is often called) televisions. But like the premature party guest, all the parts and pieces aren’t yet assembled for even passable 4K viewing experiences. One thing beyond dispute is the stunning visual quality of 4K and UHD. After all, 4K itself has enough pixels to fully fill four HD screens. 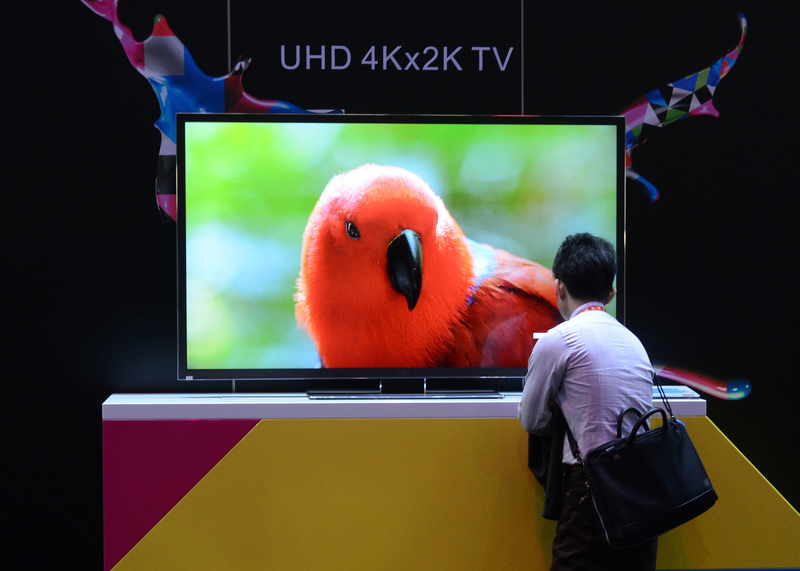 Would you be able to tell the difference between HD and 4K content side by side? Even if you can’t, seeing that eye-popping 4K video at your local Costco or electronics store is quite compelling. 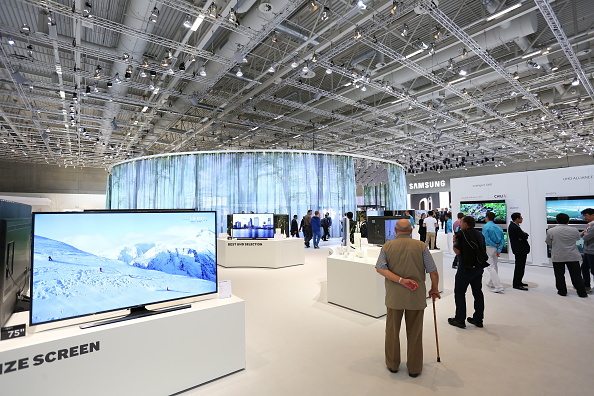 Prices for 4K televisions have plummeted in the past 24 months, and more consumers are replacing aging televisions with new 4K rigs or adding to their overall mix because of all the hype. Pure televisions aside, the addressable 4K audience on tablets and smartphones isn’t overwhelming. Research out this year shows that 80% of U.S. homes have smartphones, but only 16% own a 4K television. Regardless of these numbers, the amount of content available to these screens is minute right now. We live in an arid desert of content where 4K is the promised oasis. Once you get beyond those gorgeous 4K videos in store of the eagle flying over some river in Alaska, it is hard to find UHD content for your screen. Sure, Apple upped the ante, throwing its chips in the game with its new Apple TV 4K and library of content upgraded to the new spec. Similarly, Netflix and Amazon produce most (if not all) of their new shows in 4K glory. But relative to the universe of television, movies and other video available to us as viewers, we’re still laying under that palm tree, waiting for some delicious water at the oasis. Even yours truly, the bleeding edge tech adopter that I am, remain disappointed in the extremely finite amount of 4K content available on my DIRECTV system. And I pay extra for it! The problem is multifaceted. Relief will come. Adoption and availability take time. As we saw with HD content before it, content will eventually trickle into the UHD universe and be more readily available on the screen of our choice. Though 4K content is more computationally complex to prepare, the tools and technologies exist to make production possible at scale. Specifically, on-demand video clips take more power, resources and time to prepare in 4K. Live events are also able to be streamed in 4K, but it’s difficult. I like to call it “walking an elevated tightrope with no safety net.” In addition to getting this content to the cloud for processing, there is a similar challenge in delivering this content to the viewer. Your friendly neighborhood content delivery network (CDN) is also facing the need to innovate and beef up the infrastructure in support of content that is at least four times more complex to deliver. I’m being facetious on purpose to illustrate the complexity required with every quantum shift in video. As resolution increases, the methods and means through which we deliver it require massive shifts. Even with all the innovation evident in UHD preparation and delivery, if you’re staring at a 4K-enabled screen, are we confident that the wired and wireless networks are ready for us to view 4K? Some networks will throttle users after a certain amount of usage, which will effectively handicap 4K viewing, given the additional bandwidth required to view. Whether you’re dialed in to your new 4K smartphone, tablet or television, this is not a cautionary tale. I see a future in which we all revel in the pretty pixels that will dance on screens before us. But like Captain Early Party, I am here now to tell you that we are at best in the first mile of an ultra high-definition marathon. The days (and miles) ahead will yield some rewarding and fruitful experiences, especially for OTT. Keep that screen and bag of chips ready. Matt Smith is Vice President and Principal Media Evangelist for Brightcove’s media business unit. He has served in a variety of roles in the industry, from architecture to operations, and has extensive experience in finding solutions for the challenging problems faced by media and entertainment companies as they reach viewers on any screen. Matt’s experience spans many aspects of today’s complex video workflows and he is a frequent speaker at many industry events and conferences.